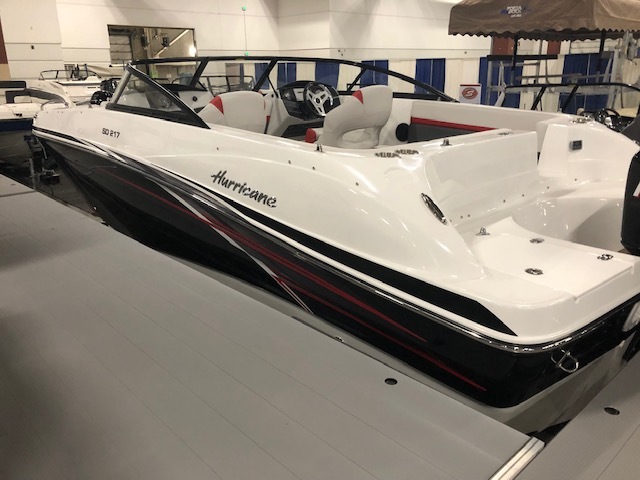 SD 217 OB with Mercury 4 Stroke. 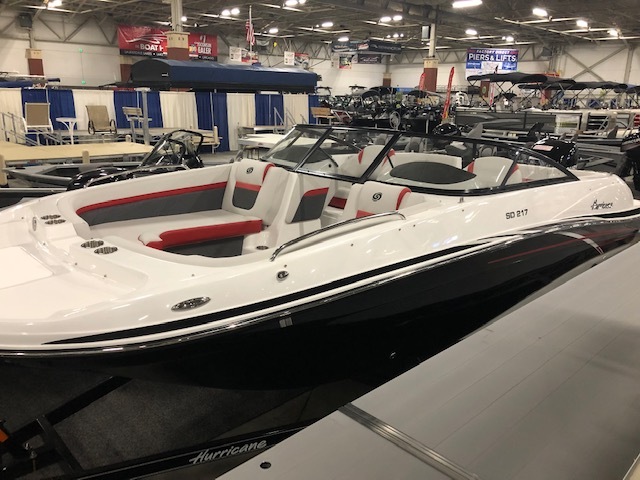 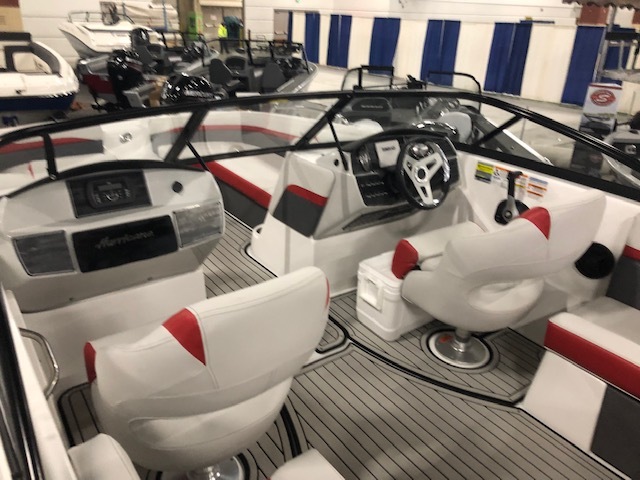 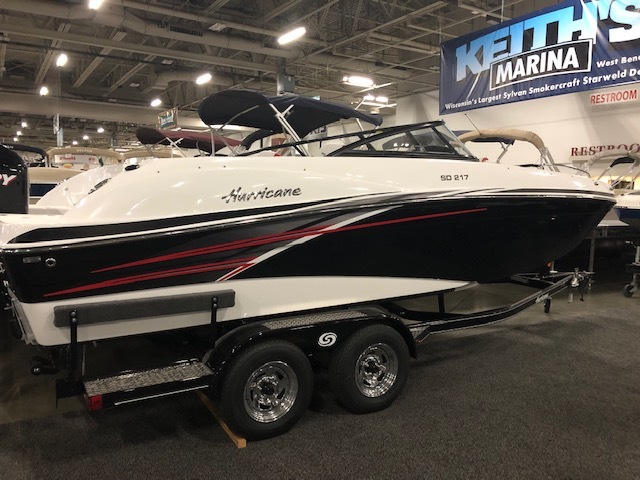 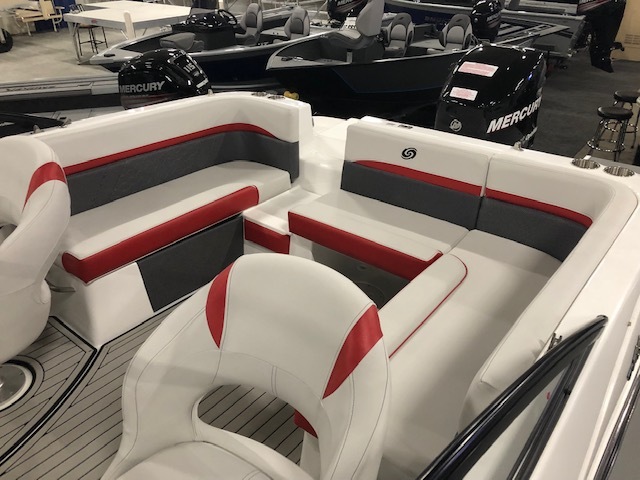 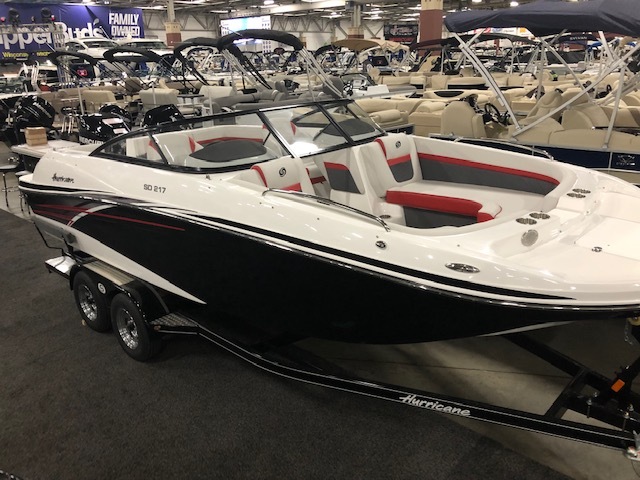 Featuring the sport package, full windshield, ski tow bar, transom remote, snap in mat, blaze red sport graphics, bluetooth 4 speaker stereo with blue LED lit speakers, upgraded steering wheel, cooler and Simrad in-dash touch screen GPS. 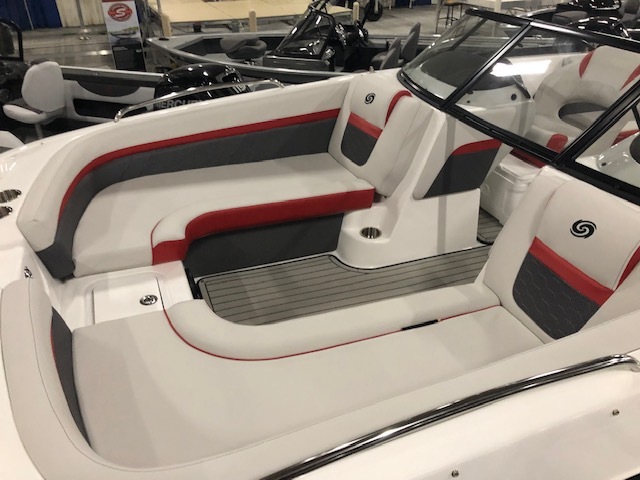 Top of the line deck boat with beautiful lines and a unbeatable warranty.